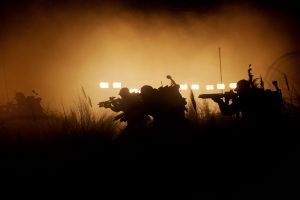 ‘Alien:Covenant’ review: Is it more like ‘Alien’ or ‘Prometheus’? When I told friends I saw the most recent addition to the Alien family last week, the first question was always the same: Was it more like Alien or Prometheus? And my answer is always the same, Yes but it is also it’s own. 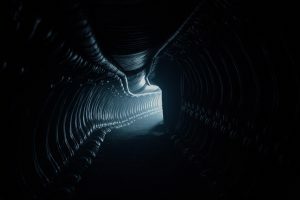 Ridley Scott’s masterful direction is both a sequel to Prometheus and a gateway that is leading the audience to Alien. 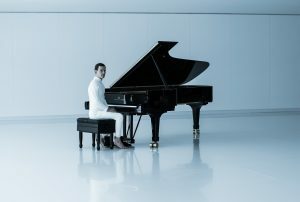 The film’s prologue begins with a young Peter Weyland introducing his latest creation David (played by one of the best parts and performances of this movie Michael Fassbender) to the world. This is where the elements of Prometheus begin, the religious overtones of creation/God making Man. When David asks Weyland, “If God made Man, who made God?”, you can see Weyland’s’s face shift to the realization that his creation has questioned him and asked what he himself would like to know. Then, piece by piece, the opening title sequence takes you back to Alien and the tone is set of what the audience is in for. It’s 2104, 10 years after Prometheus and 18 years prior to the original Alien. The Covenant is carrying the frozen cryosleep crew of twelve and 2,000 other sleepy frozen passengers along with 1000’s of embryos on a 7 year journey to a distant planet Origae-6 when it is thrown off course by a burst of crap/space storm/neutrino shock wave that shreds this gold shield thing and nearly kills everyone. Luckily, the humanoid watching over the ship, Walter (also Fassbender) wakes up the crew and saves the day, except for (spoiler alert) James Franco. If you are not a Franco fan then this is the movie for you because his demise is not pretty. The crew mourns briefly, fixes the ship, hears a beacon on a seemingly perfect new planet and despite the fact that they have a course set to a destination I’m pretty positive some really smart people have done a ton of research on, they take 3/4’s of the remaining crew and go to this equally inhabitable planet to explore and shortly after that all hell breaks loose. 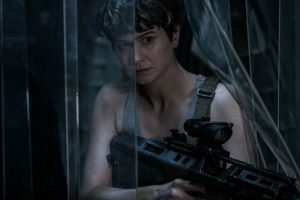 DF-14740 – Katherine Waterston as Daniels in ALIEN: COVENANT. Photo Credit: Mark Rogers. Which leads to the cons: While practical effects were used, there is a quintessential scene where they were not and in my opinion missed the mark where it was an easy target. Award for worst crew in space goes to…. The Covenant. You have 2,000 lives on board your ship and you decide to go exploring? Last time I checked you had a mission and a destination but this shiny penny planet apparently means more than human existense. And who takes 3/4 of their remaining crew to “check out” a perfect uninhabited planet? Do they not show reruns of ANY television show set in space in 2104? The character development is abysmal. What angers me about this is the 4 minute teaser trailer released 2 months before of a Last Supper with the crew that establishes relationships, personalites, banter and makes you feel and at least know more than 4 of the charachters names. Why this was not added to the final film I don’t understand because this 4 minute addition would have been that touch the film needed. Despite the lack of character development and storyline plotholes, Covenant is a gorgeous film that splits the feel of Alien and Prometheus. The Covenant ship is a dead ringer for the Nostromo while the landscape of the planet, both barren of life and beautiful is reminiscent of Prometheus.The production design department led by Chris Seagers will be, in my opinion, nominated and possibly winning many accolades during awards season because of their exquisite craftmandship. 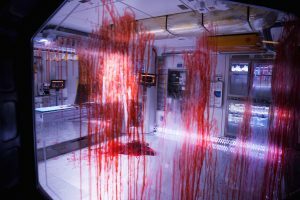 Alien:Covenant is a transition film that is an equal mix of Alien and Prometheus with the horror and tension of the original and the ambition to answer the question of creation and life from the latter. While it did not leave me feeling, anything actually, I do believe it is a film with some misses but a film that should be watched and enjoyed in the theater. I guess my disappointment is that I know this is a an A movie that ended up being a B. This is not the end however, which makes me hopeful. Alien:Covenant opens in theaters May 19th.